Recently I have seen many resources geared towards people experiencing a faith crisis or navigating a path as they leave church activity. One blog stated that many people are experiencing the stages of grief during this process. I have an interest in death, dying and bereavement, so this caught my interest. You might say I am well acquainted with grief both personally and professionally. I am a registered nurse who has worked in the fields of oncology and HIV/AIDS for the past 35 years and have a master’s degree in thanatology (the study of death, dying and bereavement). Theories exist to explain the experiences of dying people. Other theories explain the experiences of grief. These two processes are often used interchangeably but are actually separate processes. Both are applicable to the loss that a person might feel at various points on the journey of awakening to a more mature or nuanced understanding of their beliefs. My goal here is not to influence anyone towards activity or inactivity, but to explain the processes in the framework of thanatology theory and identify ways to help people who are, at times, suffering and isolated. First, a few definitions, followed by explanations of the theories, then application. Grief is the process of experiencing the psychological, behavioral, social and physical reactions to the perception of loss. Mourning is the cultural and/or public display of grief through one’s behaviors. Bereavement is the state of having suffered a loss. Elizabeth Kubler-Ross, MD, published her seminal book, On Death and Dying in 1969 based on the analysis of interviews with dying persons. In it she identified similar stages that a dying person might experience during the months/weeks prior to their death. There are multiple theories to explain the grief process following a death, including those by Freud, Fenichel, Sullivan, Pollack, Bowlby, Engel, Parkes, Worden, Sanders and others. The theories that resonate the most with me are Catherine M. Sanders’ integrative theory of bereavement, in Grief, The Mourning After and William Worden’s tasks of mourning in his book Grief Counseling and Grief Therapy. The tasks are actions that fit within the framework of phases. Not finding someone to discuss matters with, the person feels isolation. They may question themselves. Often the quest for answers continues, along with more information. Anger may set in when the person realizes the narrative they have been taught, the narrative they themselves have believed and taught others, is not completely true or fully presented. They feel anger at the organization and at themselves. The person might try to double-down on righteousness by praying more earnestly, studying scriptures, fasting more and longer or becoming a temple-ordinance worker. This is a type of bargaining in a quid pro quo to get more information that will explain it all. As the months turn into years, depression and further isolation ensue. (Here, I do not pretend to be a psychologist, but use the term depression as description, not a clinical diagnosis.) Others notice the change in affect and begin to question or reach out to this person. If they choose to share their concerns they might be met with further judgement or perhaps with a person who is willing to “go there with them.” Finding such a person is like a life-preserver when adrift. Someone who will listen, without judgement, even when they are not aware of all the concerns, offers support and comfort to the isolated. Being able to sound out, talk through, think aloud and express emotions including anger can be therapeutic. Alas, when the wrestle is complete, a decision is reached to stay or go. To stay, with eyes open, aware of the complexities and dissonance within yourself; or to go, knowing you have thought and prayed through the wrestle and come to the best decision for yourself. Acceptance of the decision may come quickly or slowly or may not come at all. Some may stay in a state of half in/half out unable to reach a conclusion. The analogy of staying in a marriage after a traumatic destabilizing event is similar—stay and make it work, divorce, or stay and be unhappy. Let’s now apply the phases and tasks of grief to a person that decides to leave activity, either formally or by no longer attending or participating. The initial relief of having made a decision may be replaced by shock at the changes the decision brings. The shock can manifest as confusion, disappointment at other’s reactions, preoccupation with church despite no longer being active, regression into oneself, and further isolation. Shock will lead to gradual awareness of the reality of loss of membership or activity. The reality of no longer participating in services and activities with your family and friends; the awkwardness of conversations and interactions with family, friends and ward members. Doubt may creep in or the confirmation that the right decision was made. The task at this point is to accept the reality of the loss and then experience and work through the pain. All decisions have consequences. Acknowledging what you are experiencing and discussing it with others sometimes helps. Having people that love you no-matter-what helps. Recent interviews with Sam Young, excommunicated in September, are relevant examples of these initial phases. Although Mr. Young did not leave on his own, his actions led to a church disciplinary action. The resulting emotions and experiences are applicable to this discussion. I’ve listened to several of his post-excommunication interviews and recommend “A Thoughtful Faith” podcast interview by Gina Colvin posted October 10, 2018. The experience of being excommunicated is obviously different than voluntarily leaving the church, but there is something to learn from Mr. Young’s experience that is relevant to this discussion. Because he is a public figure, his story and interviews are accessible. The next phase is conservation and the need to withdraw. Once a decision is made, the energy expended in that effort can leave the person fatigued—mentally and/or physically. They may withdraw, for example by having a low profile on social media, or skipping family or social activities. They may have no desire or stamina to talk to people. They may not want to talk about “it” anymore so would rather avoid interactions rather than steer around conversations. This is a protective mechanism for one’s mental health. At this time, when the person is withdrawn, social support is needed but not always accepted. It is not always offered in a way that is acceptable, without judgement. It is a tender time of transition. According to Sanders, the person reaches a turning point when a decision can be made. The decision is to move ahead with life, stay stuck in their grief, or give up and die. Keep in mind this is a theory about grief following a death. Regarding a faith transition it applies when a person decides to move on with their life or perhaps stay in a withdrawn state of unhappiness or despair. The tasks, identified by Worden, are to adjust to the environment in which the deceased is missing and emotionally relocate the deceased. Applying this to faith transition could mean finding other ways to experience spirituality, finding activities for Sunday that fill that time gap if needed, identify other areas of common interest with family and friends. Emotionally relocating the past experiences can be a positive experience. For example, if a person served a mission, the mission plaque, journals, planners and memorabilia can be stored for later perusal. 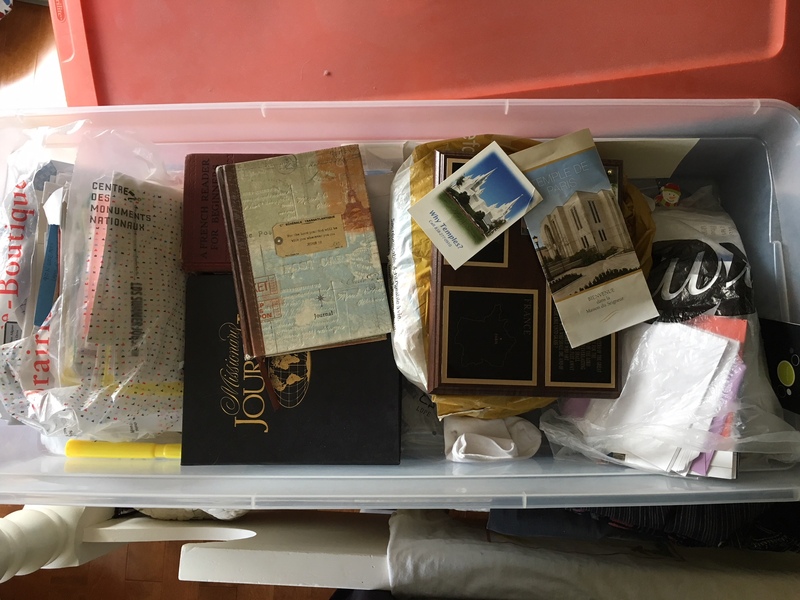 Advancement records, seminary graduation diplomas, Young Women medallions and other such items can be stored as well. Healing and renewal begins as the person assumes control for their decisions and forms a new identity. New energy and hope emerges. The person may feel less frustration with the past and be focused on the future self. This is observable by others. At this point the person is able to reach out to others, helping others. Their social profile reemerges in a happier, more confident version of themselves. In grief following death, there are variations in the experience such as complicated grief reactions and disenfranchised grief to name a few. So it is with faith transitions. Each transition is different just as each person is different. The bottom line is–how do we help people who are in a faith crisis or transition? • Be a friend, willing to listen without judgement. • Recognize that the issues that brought on the crisis are real, relevant and problematic. • Acknowledge the person is struggling and in pain; the decision is not made lightly. • Consider exploring the issues with them, one at a time. • Accompany them to meetings with their Bishop or others, if asked. • Continue the friendship and support regardless of the decision. • Don’t be afraid to talk about the past times (like the mission or seminary class or youth activities or meaningful lessons in RS that you shared). • Remember that faith in Jesus Christ is not measured by activity at church. • Remember the 11th Article of Faith and allow all people to worship how they may. I hope this explanation of thanatology theories enhances your personal journey with those experiencing faith crisis or transition. The ideas presented here are my own, based on my observations and personal experiences. I went through it the first time in the ‘80s as an adult convert from Catholicism. Right now I’m bargaining. Maureen Edgerly lives in Maryland with her husband. She enjoys spending time with her family, knitting, reading, contemplating, and vacationing in Ocean City. She works in adult oncology clinical trials. This was so good, thank you. Thank you. It was cathartic for me to give voice to this. I have read several posts about how to support people going through a faith transition. They skirt uncomfortably close to (or flat out say) that in order for me to support you I have to accept your concerns as my own. I am more than happy to listen and not judge you, but no, I am not willing to take on your issue and let it start to bother me. I guess one question is, do people going through a faith transition really want to discuss the matter? Or do they just want validation? As an attorney, my knee-jerk action to ANYTHING I read or hear is “where did you get that?” “What is your source?” “Is it reliable, accurate, biased, etc?” Is that a bad thing to ask you if you are transitioning? Or am I supposed to just let you talk, without response? I like the Temple. I have never had an issue with anything I see or hear there and find it to be the highest form of spiritual worship FOR MYSELF. So do you really want my opinion? No, it doesn’t bother me. I’m not upset by it. Or do you want me to listen? Because the one thing that I think crosses the line is expecting me to say, “oh, yeah, that bugs me too” when in fact it doesn’t. Those are really good questions, Lily. Speaking for myself, with respect to not only my faith questions, but other difficult life experiences I’ve dealt with (including loved ones with serious mental health issues and addictions), I don’t expect anyone who hears my thoughts and feelings to say “yeah that bugs me, too.” For the simple reason that most of my friends haven’t experienced anything like I have. They can’t relate. But, they can offer empathy, and validate my feelings and my experiences even if they don’t agree with me on particulars of principle or practice. It’s possible to offer validation for a person’s experience (which is not much different than offering kindness when another suffers) without validating their *beliefs*. That’s what I’ve been practicing, at any rate, for years now. But if you also share their beliefs and offer validation for them, it’s added-value. It’s surprisingly healing to be heard and believed, that my experience has affected me x, y, and z, even if the other person has had a completely different experience, lens, viewpoint and belief framework. Simply being heard is part of how a person finds meaning in their pain; being heard facilitates integration and a happier, healthier future. So, to me, it’s not at all about sources and fact-checking and right/wrong, but about honoring the human experience, and letting others know they’re not alone. If I believed in God, I think that’s what they’d want me to do. The Gospel Topics Essays, Richard Bushman, Greg Prince, Lester Bush, Brian Hale etc. The people (in leadership) had never heard of these sources, not even the Gospel Topic Essays. When I explained what the essays were and who these historians were, they were dismissed and comments like, Well this stuff really doesn’t both me. So for me, yes I would like to have discussion, There is nothing wrong with asking for a source. I completely agree. The sources are available and valid. Regarding the temple, many people have deeply positive experiences. I was a Temple Ordinance worker for several years. During that time I had opportunities to ask questions to the temple presidency or matrons. I’ve been endowed for 25 years and been a frequent patron during this time. Yet, I still had questions and had been taught to talk to the temple president about my concerns. I have felt like I never got a straight answer until finally one of the matrons said, ‘There is no handbook with all the answers to the questions. We are not keeping any secrets from the patrons. We are all learning’. Just as many enjoy the temple experience, some do not. There was a well written post on this web site a few weeks ago on this very subject. Several years ago I met a woman who had been a member in the 80s.. She and her husband left the church shortly after going to the temple for the first time because of them temple experience. Again, speaking only for myself, I can share that when I found a friend who could talk with me about my concerns and listen to me, it helped me feel less isolated. She has not changed her beliefs by listening to me. I am grateful to her. Thank you for your thoughts and time. Fantastic article, Maureen! Very thorough, precise, compassionate and courageous. You provide a much needed and non-judgmental perspective. I hope in another article you can discuss the relationship of (considering) withdrawal or separation to trauma. I love this. I think their is true grief when experiencing a faith transition I’ve seen and consoled very close friends. And I absolutely love where you end with “The bottom line is–how do we help people who are in a faith crisis or transition?” This something I looked for continuously as I tried hard to understand where my friend was coming from. I read those articles you mentioned and struggled too, I felt like my faith changed although I cling to other beliefs I held firm. It was still a faith transition and I hate that so many dismiss concerns and questions. My friends left because they were dismissed and then her husband was accused of horrible things by church leaders. I love her and at first selfishly thought she was a lost friendship, but very soon realized that that was on me and how I responded and loved her. I quickly came to terms with the fact that her feelings were valid, where I could listen and realize that she didn’t change like I had thought; she was the same beautiful person grieving for a faith she no longer held to. I believe that if more people in the church were open to discussion then true church growth and acceptance could develop. I love your honest words!